The OISE Ontario Historical Education Collections (OHEC) aim to collect historical materials documenting the development and cultural history of the Ontario public education system. 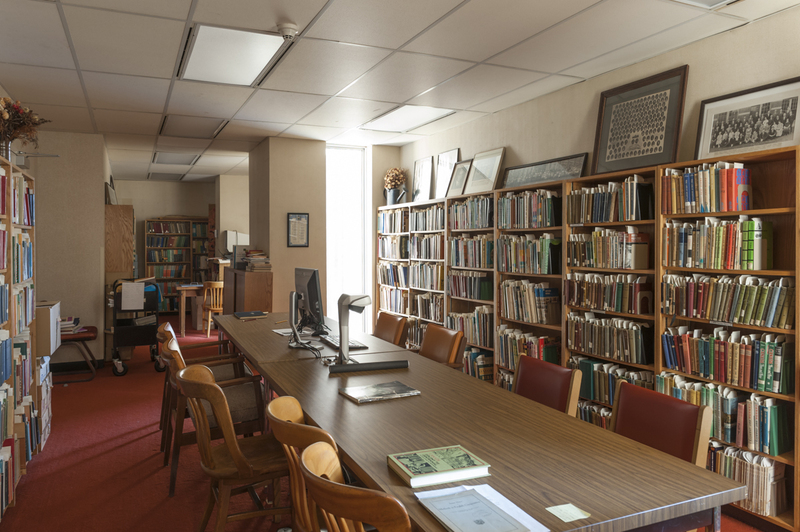 The collection contains over 7000 documents including textbooks, curriculum materials, government education documents and reports, yearbooks, and educational artifacts. This guide gives an overview of the types of materials you will find in the collection and helpful hints for accessing this material. Material in the Ontario Historical Education Collections (OHEC) may be viewed in the reading room by appointment, and may not be borrowed. A staff member will determine if the condition of the material will allow it to be scanned or photocopied. A scanner and computer are available in the OHEC research room; click here for more information on scanning OHEC material. Whenever possible, before your visit please provide the call numbers for the material you are interested in viewing from the collection. Most OHEC material is searchable in the U of T library catalogue; for best results follow our helpful hints for locating documents in the OHEC collection. Please contact Nailisa Tanner (n.tanner@utoronto.ca; 416-978-1921) to book an appointment to use materials in this collection. This research guide was created by Jillian Harkness, OISE library graduate student library assistant, and originally published in June 2016.